Christ Jesus, even when you were rejected and mistreated, you continued to love. Your cross remains for ever the sign of your forgiveness. We long for this love to be known to all human beings. It is a wellspring of life. Christ Jesus, for us you are the cornerstone. As we rely on you, enable us to welcome God’s will in our lives. 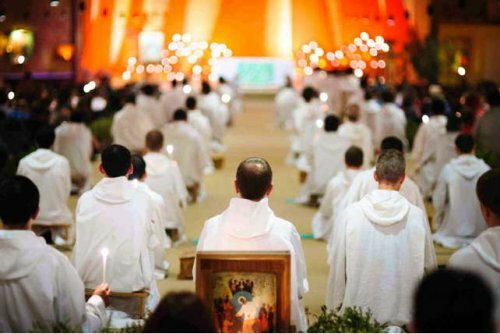 The prayer read at noon by Brother Alois is published each day on this page http://www.taize.fr/prayers and regularly shared as well on the Taizé’s Facebook page, Twitter account and Instagram profile. You may also find online the Bible text read during the midday prayer at Taizé and a short daily meditation by Brother Roger.